Quitting a Job is never easy. I had been there. Those who already read my Blog must know that I quit my MNC Job long ago to settle peacefully in my Hometown. No, it was not something forced upon. It was not for anyone else but ME. It could sense that it was not the right fit for me. I needed some peace, I needed stability and most importantly I needed my Family. My priorities were different than those when I joined. I did not want to continue just to be the part of the rat-race. If you have already started stereotyping me as a weak or less career-oriented, let me tell you I was away from Home right after my College Life started which summed up to a total of 7 years and 5 Cities. It was not an easy decision as I was the one who used to think leaving my Job would mark my education a waste. I was afraid how my Parents would feel who sacrificed a lot for my Career. But everything stopped at only 1 point- Was I happy? I did not have another Job in hand nor I was sure that I will get one or not. You must be thinking it was a foolish and immature decision. The only thing I knew was that my Family was there to support me. It took me around 30 days to take the decision and guess what- I got a Job in next 1 month. As expected, the profile was not same, the package was less and MNC label was gone but I accepted the Job and here I am after 4 years, happily alive. I am not saying that everyone should quit their Job to be happy but my point here is – Do not let your Job steal your happiness. It is about making choices. What is more important to you. What are your priorities in your Life? What are your expectations from your Life? I still work (Luckily, in the same domain) but my Job doesn’t drain me enough to leave me exhausted at end of the Day. 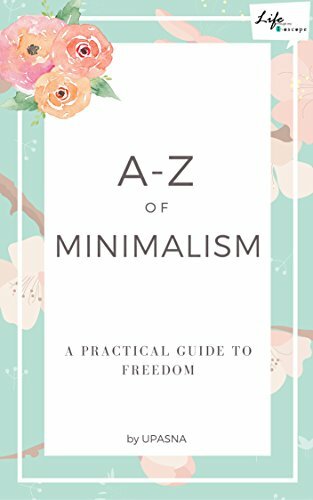 The role of Minimalism in our Jobs is to make us aware if we are happy working for most part of our day and trading off our time which can be well spent with the family or for our passions. Does your job leaves you Content or Exhausted at the end of the week? Do you have a soul crushing office job? I want my Life to be not only about earning cash to spend cash but to earn cash so that I can spend quality time on my other pursuits. I choose to spend less so I have the freedom to earn less. Do you? “Up till 2015 my life cycle was just like of any other software engineer working in an IT firm. It all started in July 2010 when I started working with a famous MNC, Fresh out of college, Full of Enthusiasm and Energy, had a large peer group doing lots of fun, minimal work and at the end of the month getting the pay check, life was fun. It is believed that 90% of our brain development happens before the age of 6, it is the same for software engineers what you learn or do not learn during the first 3-4 years will determine how far you go and where you go in your IT career. And I being lucky did most of the things right in this phase and hence was now placed to reap the benefits. From being recognized by my seniors to timely promotions with top ratings, From client appreciations to onsite opportunities I was getting everything what a software engineer could dream of. But looking back at my career and confused about my future I was still wondering if this is what I wanted from my life because somehow the reality of corporate culture was giving me nightmares but I didn’t have any other option so I was still continuing with my job without even knowing where it’s taking me. As The Secret Law of attraction says when you desire for something all the Universe conspires to bring it to you. My subconscious desire for the change was so strong​ that in 2015 my life took a turn when a close friend of mine introduced me to a business opportunity, I took a leap of faith on him and without even knowing what it is I just started. Along with the job a new journey started in my life, the journey of change, the journey of entrepreneurship. It’s a natural tendency of not only human beings but of all living things to resist change so did I initially but yeah Change is inevitable and all the credit goes to my mentors who never gave up on me, they never let the desire to change die inside me. I started adapting the change and a blissful journey to Financial Freedom begun. This business is the most beautiful​ thing happened to me. As a kid we dream a lot but the realities of life eventually end up taking away from us even the imagination of these dreams but this business has given me back the power to dream and a path which is taking me to a life of choices where I can fulfill all my dreams. I have evolved as a person today, I started discovering my true potential, I started discovering my passions, I started becoming much more confident and focused, I started taking everything positively, I started having the hunger to learn, I started thinking about others leaving my ego behind, I started believing that I can change others life. Both you and Nikita are amazing for the courage and believing in the dream. We always have this fear and are compelled to get sucked into a job that brings unhappiness. I faced it for three years, being in and out of unhappy jobs. I took a career defining decision last year and today I am work from home. I am in such a happy space and nothing can be traded for that. Your post resonates with me. Share similar thoughts as yours .. Thanks Humaira. Hopping to your AtoZ. In May, 2011, we visited Hawaii. In May, 2012, we visited again. In August, 2012, we quit our jobs and moved there. People thought we were crazy to quit good jobs and go to an unknown place. I think they were jealous and afraid. We did what we wanted. We lived in Hawaii for four years. I’ll never regret the decision. We were happy. We are happy in our new place. Never let anyone dictate your happiness. Hawaii….a place worth leaving your Jobs behind. and then you were happy. Thanks for sharing and reading Cheryl. Agree that you lose some, you gain some! What’s important is you are living on your terms and not to fulfill society’s expectations. Yes, Neha and that’s why I do not regret. Thanks for reading and commenting. I agree with this post Upasna which btw feels very heart warming!! I also quit my corporate job to find happiness and find myself!! My only aim is too live my life happily and blissfully and yes with minimalism too!!! It sounds like you made a good decision. A job that leaves you no time or energy to do anything other than the job just doesn’t seem worth it to me either. Glad you’re happy now. Both the true tales are inspirational gal…..and like you I too have quit my dream job in Sweden not because I wasn’t happy but there was no one to take care of my munchkin. This is the irony of destiny buddy….but one must stay in a job only if they are satisfied or else the frustration will build on them eventually.